Swell Merchants have rapidly become known as one of Salt Lake City’s most unique and talented collective of hip-hop musicians. With the release of a slew of music over the past several months, and having recently performed at SLUG’s Localized concert in April, it is obvious that Swell Merchants are focused and on their grind. YOUNGA$$$CATTERBRAIN is a collaboration between Swell Merchants rapper YOUNGA$$ NICO and local producer Scatterbrain. In many ways, it is the most concise, focused release from Swell Merchants to date. This short, six-track album, which features fellow Swell Merchants member Ethan, the Barber, combines old Swell Merchant styles with an overall higher quality of sound. The last full-length release by Swell Merchants was Happy Days, which was a quality album but, at times, felt amateur and gritty. YOUNGA$$$CATTERBRAIN employs the use of better-sounding lyrics and audio, as well as a more balanced production. Scatterbrain’s beats are varied and intriguing, combining cloudy samples with trappy, modern production. The backing of the entire album allows YOUNGA$$ NICO to flaunt his skills more freely and easily, and each song comes together as a whole, with production and rapping mixing quite well. The song “Clarity” is particularly strong with an almost dreamy feel, while “The Finest ft. Ethan, the Barber” has a raunchier vibe. 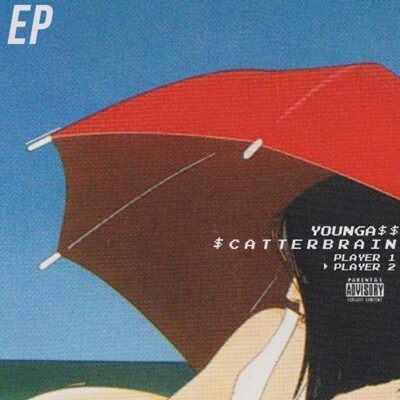 Every song on YOUNGA$$$CATTERBRAIN seems to stand out as a different style, which proves that the members of Swell Merchants know what they are doing and how to make a variety of quality tracks.